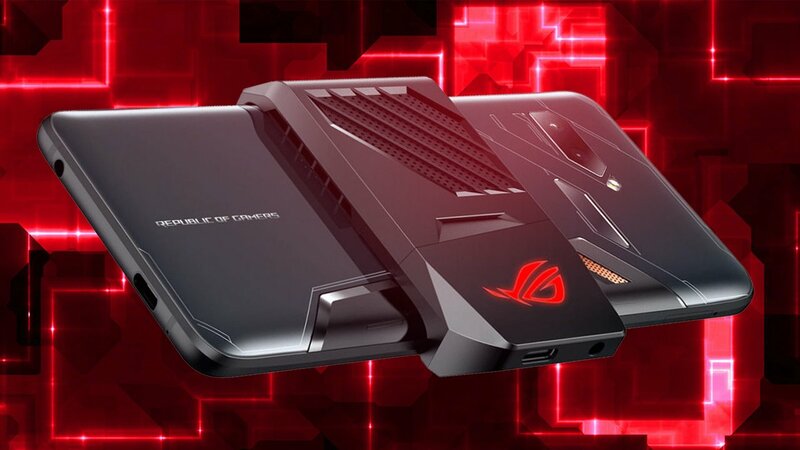 You will be able to know about the Best Gaming smartphone Asus ROG Phone. Today we are here with Detail guide on recently launched smartphone Asus ROG. Asus ROG Phone has officially been launched in India. The smartphone was first unveiled globally by the company’s gaming brand Republic of Gamers (ROG) at Computex 2018 in June this year. The most notable features of the Asus ROG Phone include ultrasonic AirTrigger touch sensors, a gamer-centric design with side-mounted ports optimized for landscape-mode, an AMOLED display with HDR visuals, a 90Hz refresh rate, and a 1ms response time. Additionally, it is powered by a special speed-binned Qualcomm Snapdragon 845 processor clocked at up to 2.96GHz, paired with Qualcomm Adreno 630 GPU. Asus also says that Asphalt 9 has been optimized for 90Hz displays. Coming to the features, the Asus is touting the presence of a game cool vapor-chamber cooling system, with detachable AeroActive Cooler for extra cooling in the ROG Phone. It comes 8GB RAM/ 128GB inbuilt storage variant. Asus ROG Phone runs ROG Gaming UI, based on Android Oreo. The smartphone features a 6-inch full-HD+ (1080×2160 pixels) AMOLED display and boasts of 90Hz refresh rate and 1ms response time with HDR. Additionally, the smartphone’s display comes with a 108.6 percent DCI-P3 color gamut and 10000:1 contrast ratio. The company has also added Gorilla Glass 6 both on the front as well as on the back of the smartphone. One of the key highlights of the handset is a custom Qualcomm Snapdragon 845 SoC clocked at up to 2.96GHz, along with a gaming-optimized Qualcomm Adreno 630 GPU. In the camera department, the handset features a dual rear camera setup with 12-megapixel (Sony IMX363 sensor, f/1.7 aperture) and 8-megapixel (120-degree wide angle) cameras. AIt also has an 8-megapixel front camera for capturing selfies. Connectivity options in the ROG Phone include Wi-Fi 802.11a/b/g/n/ac/ad, Bluetooth 5.0, GPS, AGPS, Glonass, USB Type-C port, NFC, and 3.5mm jack. The ROG Phone features a 4,000mAh battery and supports Quick Charge 3.0 on the bottom port and Quick Charge 4.0 (30W) on the side-mounted port. According to Asus, the battery is capable of getting to 60 percent of charge in 30 minutes. If you have any problem then ask in the comment box. We can solve your problem.